Today I would like to share this Journal page with you. It was made using a variety of Sin City Stamps! 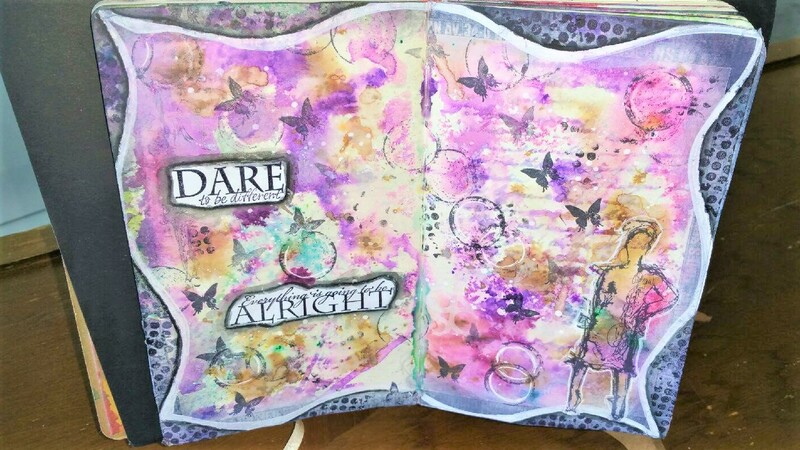 This Journal page was so much fun! 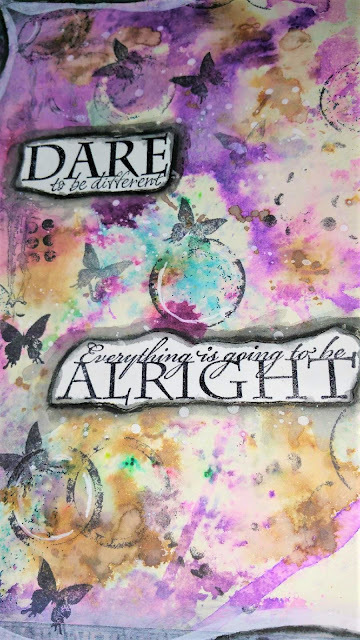 The Sin City Stamps used here are (butterfly) Love of Butterflies Collection and the sentiments are from the Inhale Exhale collection. Head over to Sin City Stamps to get these and so many others!! Art Journaling is a great way to be messy with your Art. There are endless possibilities and no right or wrong way to do it! 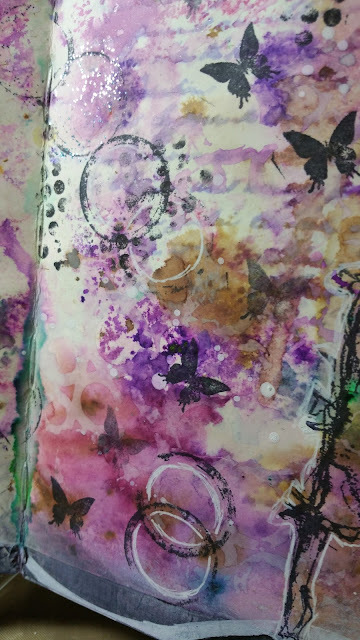 For this page, a basic background was created by picking up ink from a craft sheet that was sprayed with water lightly. 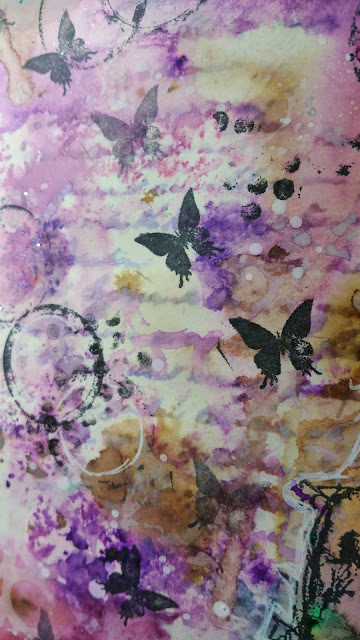 Random stamping of butterflies was done using black archival ink. *Tip for stamping...Apply a generous amount of ink to your stamp and continue stamping until it is all used. This will give you that "fade-out" effect you see here. Apply spray ink in colors of your choice both alone, and through stencils. *Tip for background...when using stencils, turn the stencil over to the reverse and lay on your page. Then lightly spray with water and blot dry with towel or paper towel. This is another way to get that "shadowed" look as in the white circles above. Once you have completed stamping and stenciling, go back over some things by outlining with a white gel pen to enhance. Splatter a bit of white acrylic paint. For the outline of this page a journal block was used to create the wavy lines all around the outside of pages. A texture stamp was then stamped in black in the empty spaces. The lines were enhanced using a black watercolor pencil and then a white marker. I hope you enjoyed this page and it has inspired you to get some stamps, stencils and inks and create!! This is really beautiful - love the colours!! Love the colors Jenn, they make me smile! Marvelous! Thanks so much Jenn! Just love the colors, the shadows, the smears etc as well as the distinct images - all brought together for GORGEOUS YUMMINESS. Xj.